There I was, sitting next to the gorgeous Jane's Carousel under the Brooklyn Bridge. 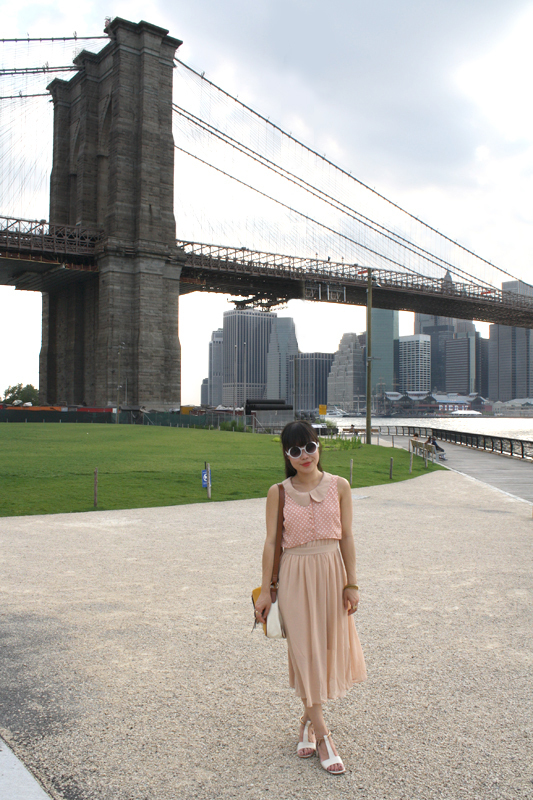 This part of the Brooklyn Bridge Park had such a beautiful view of Manhattan with the Brooklyn Bridge to the left and the Manhattan Bridge to the right. I was quite excited about this dress when I was packing for my trip, I got it awhile back but I waited to wear it in NYC. I love everything about it... the peter pan collar, the polkadots, the lovely blush color, and the illusional two-piece overlay details! I paired it with these sandals that have the most amazing gold chained ankle cuffs with a heart shaped charm! 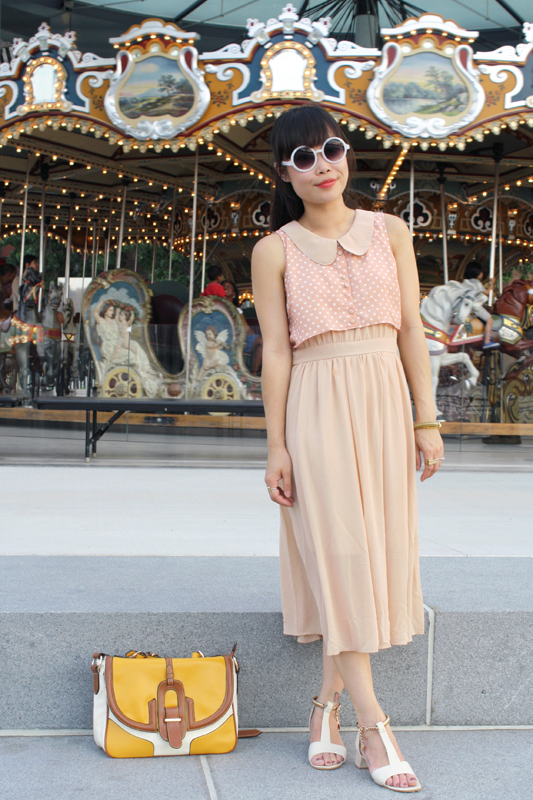 This lovely and airy outfit definitely helped me bear the nasty heat of New York summer! Number One Pan Dress by Moon Collection from ModCloth. Sandals with gold chained ankle cuffs from Hong Kong.